St. Edward's University's involvement in the International Participation Week offered students the chance to sample cuisine and crafts from a diverse group of vendors. For the fourth year, St. Edward’s took part in the International Participation Week, a nationwide event for all universities that promotes the appreciation of cultural diversity. 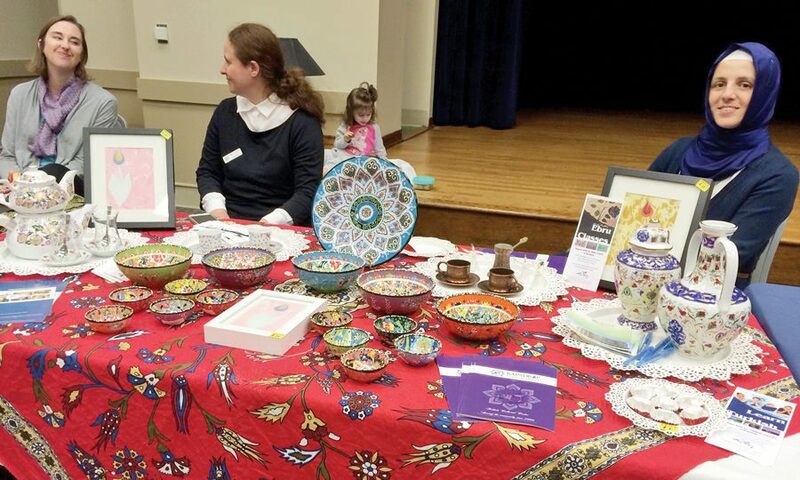 The school hosted a Global Marketplace in which a variety of international and local vendors, as well as cultural student organizations, set up stand in Mabee Ballroom to sell their wares from around the world. Students got a unique chance to sample global cuisine and purchase handmade crafts, stemming from France to Asia to India. Music from around the world filled the air with a lively and fun atmosphere while students made their way through a maze of different cultural booths. Many students took the opportunity to immerse themselves in this unique affair as well as do some gift shopping. There was a little something for everyone here, from the Francophone food offered by the French Club to hand woven merchandise from India to graffiti artists that can be credited with keeping Austin weird. The vendors chosen for this event were handpicked by Administrative Coordinator, Cynthia Darling, based on a selfless and worldly criteria. Darling explains that they seek vendors that are either local to Austin, create a global impact, or even student organizations that volunteer or improve the world in some way. One of the cultural student organizations present was French club, enticing students with Francophone food such as baguettes, bri, quiche, and baklava while advertising their language and culture. “If anyone’s interested, French club meets every other Wednesday on the fourth floor of Johnson so if they want to try some more dishes, we have events where we bring in food and stuff to discuss more about France, the culture, French speaking countries, and how it all ties in with St. Edward’s mission statement of diversity and a community.” Said senior French club president, Zanira Ghulamhussain. However, they weren’t the only one who knew food was the way to the heart. Asian Student Association offered treats such as Pocky and Asian candy to draw in a crowd. They also were eager to share a deeper meaning and mission that their organization strives for, while sharing Asian culture. “We are representing Asian cultures and all types of cultures around the world and Asia. 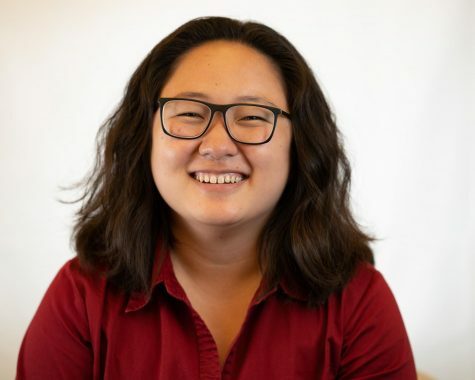 Another big thing about ASA is we are partnering with Peter’s clinic, and it’s the main organization that we send all our money to because Peter used to be a student here at St. Ed’s but he passed away and his dream was to make a clinic in Vietnam, so that’s what we’re doing right now to help build that dream,” explained Stephanie Shih of the ASA. Cynthia Darling, Administrative Coordinator, expressed her altogether satisfaction with the event and its purpose. She is already planning more events to increase the university’s global appreciation, which after this global market, students will definitely be eager to attend. I am Lilli Hime—English Writing and Rhetoric major and freelance writer at Hilltop Views. This is my senior year at St. Edward's University.